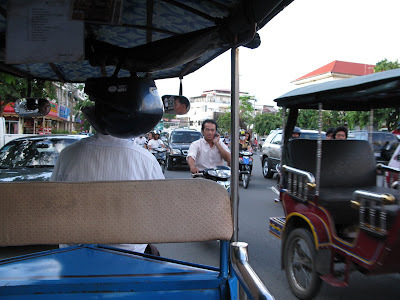 Kampuchea Crossings: Traffic rules? What traffic rules? Traffic rules? What traffic rules? 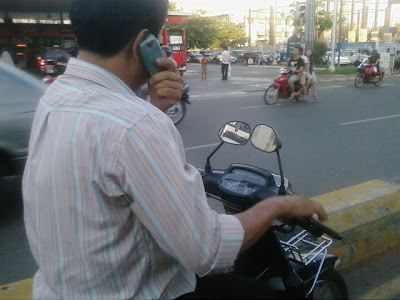 4. same guy who doesn't have a helmet while yakking on his mobile is also missing his mirrors. I love the very specific methods for plowing straight into oncoming traffic: make eye contact and you lose the right of way. LOL! No helmet, talking on the mobile, and obviously the point of rearview mirrors is lost on this fellow.